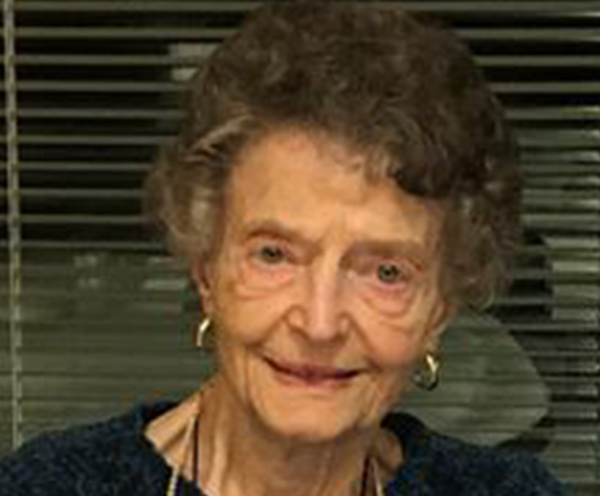 Obituary: Donna Lou Liebetreu, 82, of Ludington. Donna Lou Liebetreu, 82, of Ludington left us to be with Our Lord and Savior on Monday, February 11. She spent her final months at Grand Pines Assisted Living in Grand Haven where she received amazing care by the wonderful staff there. Her family is extremely grateful for the love they showed her. Ludington High School. She was married to Roger Keith Liebetreu on May 12, 1956 at St. Simon Catholic Church where Donna was a lifelong member. of Collierville, Tenn.; Joseph; Donald (Kenda) of Grand Haven; and Nancy. She celebrated her children’s accomplishments and was proud of all of them. Kailyn & Gabe Liebetreu. She is survived by 10 great grandchildren. valued by Giant Super Market as a cashier for many years. She was preceded in death by her husband, Roger Keith Liebetreu (August 2007); son Joseph (December 2005); infant daughter Nancy (December 1973); parents Regina and Raymond Masse; her infant twin brother Donald; her brother Rodney Masse and sister Arlene Rozgay. A memorial service will be held in the late spring at St. Simon Catholic Church. In lieu of flowers, donations can be made to Spectrum Health, Cardiology Clinic of Ludington. 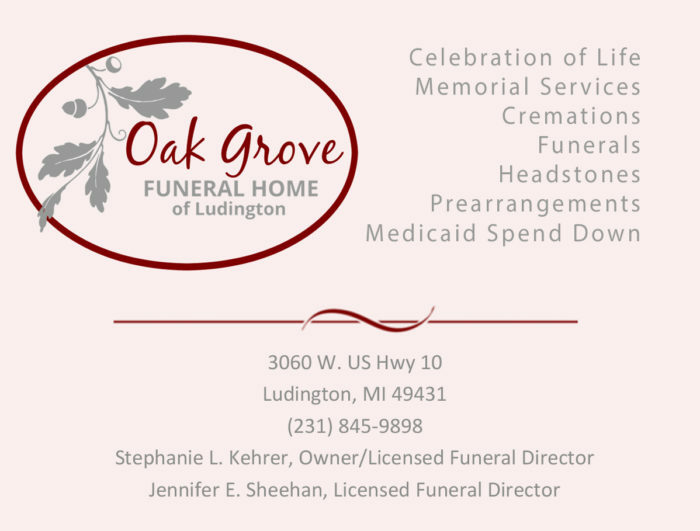 Arrangements entrusted to Oak Grove Funeral Home of Ludington, www.oakgroveludington.com.